Like you, I just love my dogs. Heck each and every one of us thinks our dogs are the best in the world, and they are! And because we love them so much we always want to make sure that we are doing the very best we can to keep them healthy and healthy. 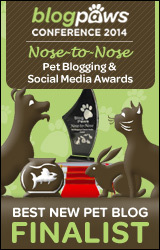 One of the first things we do as pet parents is making sure that we are able to feed the very best food we can. But sometimes questions come to mind when we are feeding. 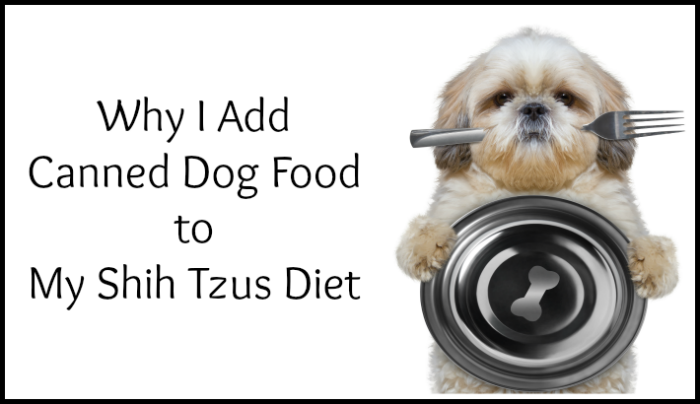 One of the things I do is adding Canned Dog Food to their diets. Tasty, Tasty, Tasty – yes, if you are like me you deal with the finicky eater on occasions. I have found this to be true of all our Shih Tzu’s except for one! 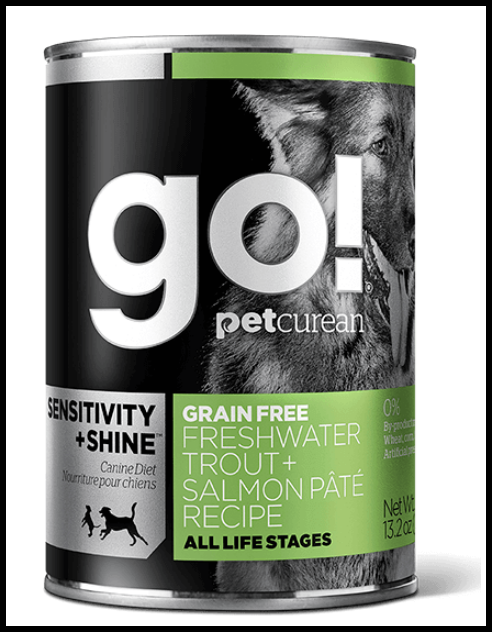 When we are having episodes of the finicky eater, I quickly run to the pantry and grab a can of Petcurean’s Grain Free Freshwater Trout + Salmon Pate recipe. And because there is a higher moisture content then dry food, your dog feels fuller faster and actually eats less than you would expect. Freshwater trout, salmon broth, salmon, herring meal, dried egg product, potatoes, peas, carrots, flaxseed, sweet potatoes, red peppers, sunflower oil (preserved with mixed tocopherols), cottage cheese, spinach, apples, cranberries, blueberries, alfalfa sprouts, pumpkin puree. Wow is all I can say! And I think my dogs say the same thing when either fed as a stand alone meal or as a “topper” for their kibble. It’s a big hit in our house. So next time you want to do something good for your dog, hit the pantry and grab a can of Petcurean Canned Food, your dog will thank you for it!